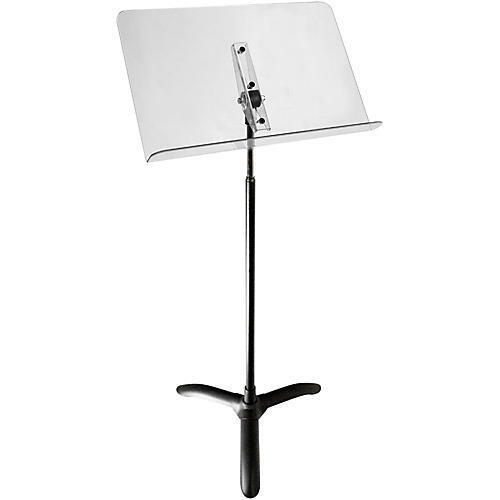 The Clear Desk Symphony Stand is designed for maximum visibility of the musician and the director, and offers a bold new look in music stands. Construction of the desk is polycarbonate sheet plastic, which is as clear as glass and is 250 times more resistant to breakage than glass. It affords a line of sight that is unprecedented.